Order your Drum Workshop Design Series 6.5x14 Metal Snare Drum from AMS and enjoy 0% Interest Payment Plans, Free Shipping, Free Extended Warranty & 45 Day Money Back Guarantee. 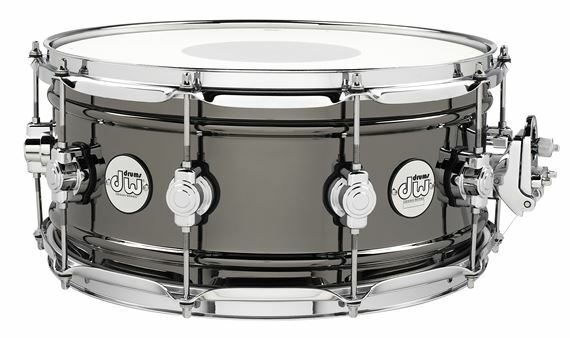 The DW Design snare drrum is Black Nickel over Brass and measures 6.5x14 inches. Additional features are 1 mm rolled bead reinforced all brass black nickel plated shell mag throw off, true pitch tuner and DW remo heads. Gator GPHDWE1436 Padded Drum Hardware Bag 14" x 36"